Slight delay in the release by the source. The positive (or at least not negative) news from the report here is that exports recovered in December after a slump seen in November. That should at least provide some relief to German authorities following a bout of poor factory/industrial data towards the end of last year. 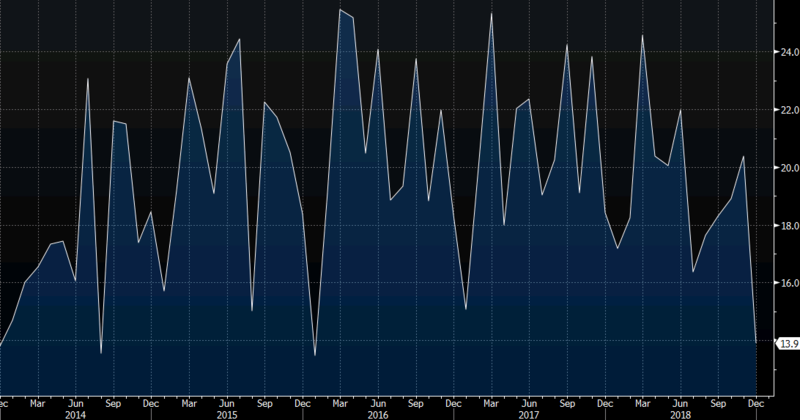 That said, there isn't much to cheer about here as exports demand in the country remains weak and the economic outlook continues to be blurred by rain clouds with the possibility of auto tariffs in the coming months.